Flavonoids are naturally occurring polyphenolic compounds widely distributed in the plant kingdom. These compounds have long been recognized to possess a broad spectrum of biological activities, such as antioxidant, anti-inflammatory, hepatoprotector, antibacterial, antiviral, antidiabetic, antiproliferative and anticarcinogenic. Although they are not regarded as nutrients, they are important constituents of the human diet. Flavonoids are present in leafy vegetables, apples, onions, broccoli, berries, citrus fruits, grapes and soybeans, also in tea, chocolate and red wine. Many studies have demonstrated that a high intake of flavonoids is associated with a reduced risk of cardiovascular disease, cancer and neurodegenerative disorders. 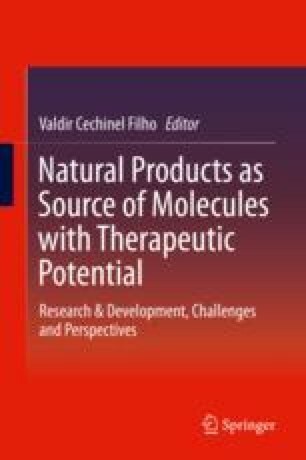 In recent years, there has been an increasing progress in the elucidation of the mechanisms through which flavonoids exert their biological activities. In addition to the already known free radical scavenging effect, flavonoids exert beneficial effects through the interaction with nuclear transcription factor kappa-B, activator protein 1, Janus kinases and phosphatidylinositol-3 kinase signaling pathways. This chapter focuses on recent findings on the role of flavonoids as modulators of inflammation and on cell signaling pathways.